EA Sports UFC 2, a game I enjoyed quite a bit despite some issues, just got a big update. 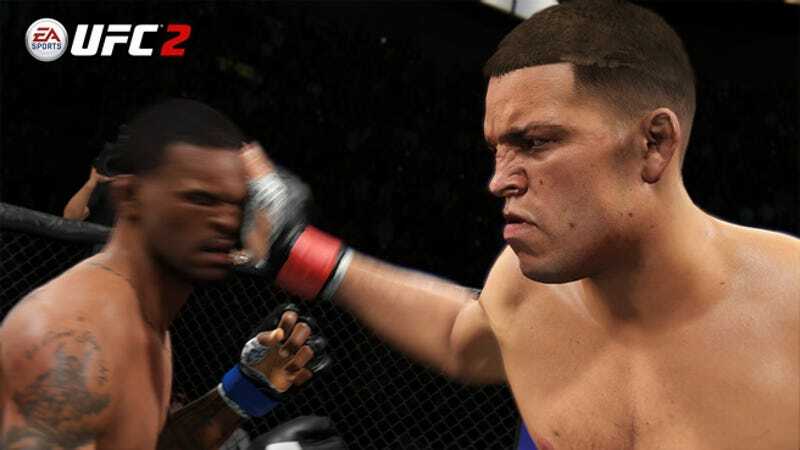 Additions include a couple new fighters, a few game mode updates, balance tweaks, and the most powerful attack in all of mixed martial arts history: the Stockton Slap. Now that very slap is in a video game. Bravo, EA, for adding a move that’s both a long-running MMA in-joke and a quietly excellent strategy. The rest of the update is pretty standard, but it has some bright spots: the two new fighters are aged (but still effective) welterweight brawler Patrick Cote and flyweight prospect Louis Smolka. You can also now change your fighter’s appearance whenever you want in career mode. EA’s also tuned the ground portion of the game to give fighters on bottom a bit more of a chance (though the ground game itself still remains woefully awkward and not particularly enjoyable). You can read the full update notes here.